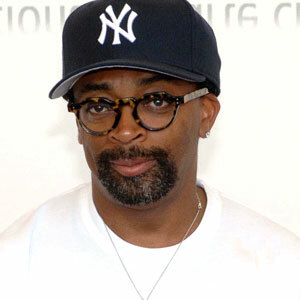 World renowned filmmaker Spike Lee is working on a documentary about the late King of Pop Michael Jackson, about the singer's "Bad" album. Lee calls the project a "treasure chest of findings." "We have footage in this documentary that no one's ever seen, stuff that Michael shot himself, behind-the-scenes stuff," Spike said in an interview Monday, according to a report by the Associated Press. Lee had the complete access to the vaults of Michael Jackson, including the 60 demos recorded for "Bad." The documentary is not yet titled, but will be part of material to celebrate MJ's 25th anniversary of "Bad." The album is being released Sept. 18 with additional tracks, a DVD and other bonus material. Lee's film will come out later this year, but no date has been set. "He had a great sense of humor, and he was funny -- so you'll see a lot of that stuff," Lee said. Lee interviewed people ranging from Kanye West to Mariah Carey to L.A. Reid. Two features entail artists today that were influenced by Michael and people who directly worked with him. What's more sweet is that Lee is planning to celebrate Michael's 54th birthday this year at Prospect Park in Brooklyn. Would you go see the documentary? Would it be as popular as "This Is It?" Speak!